A-line dress in evening or street length has jewel neckline and pockets in side front seams. 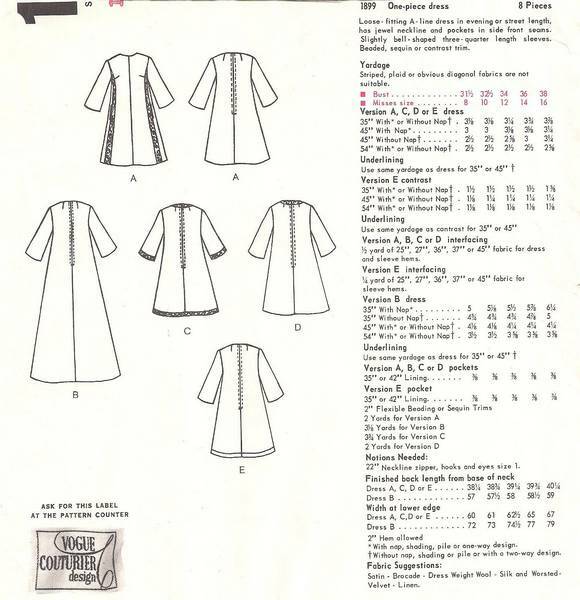 Slightly bell-shaped 3/4 length sleeves. Back zipper. Beaded, sequin or contrast trim. Pattern is complete. Pieces are uncut.